모바일에 관한 모든 것을 간단하고 쉽게 측정합니다. 앱 인게이지먼트를 측정하여 귀하의 마케팅 ROI를 측정합니다. OneLink is a single, powerful deep link that sends every user to the optimal page in your app, no matter which operating system, channel or platform they’re using. OneLink delivers a smooth user experience with built-in analytics at every step of the customer journey – from first click to re-engagement. OneLink works across every single platform, app and environment, perfectly and seamlessly. Unlike other universal mobile deep linking platforms, OneLink works with the latest iOS, Windows and Android builds, without any custom configurations or interstitial pages. Whether it’s a link in Gmail or clicking link on a Facebook post, every OneLink link works perfectly, every time. OneLink detects whether the user has your app already installed. 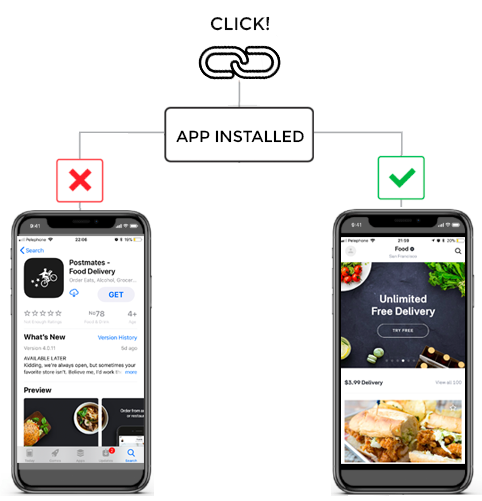 Using deferred deep linking, this incredibly powerful single link will send new users to the right app store, and then open the optimal welcome experience after the app is installed. Alternatively, if the user already has the app installed, the link will open the app directly to the correct page in the app.  Our deep links contain information about the users: what campaign they come from, who referred them, what content they were seeing when clicking on the link and more, delivering a contextually relevant experience based on these data points as soon as the app is opened. 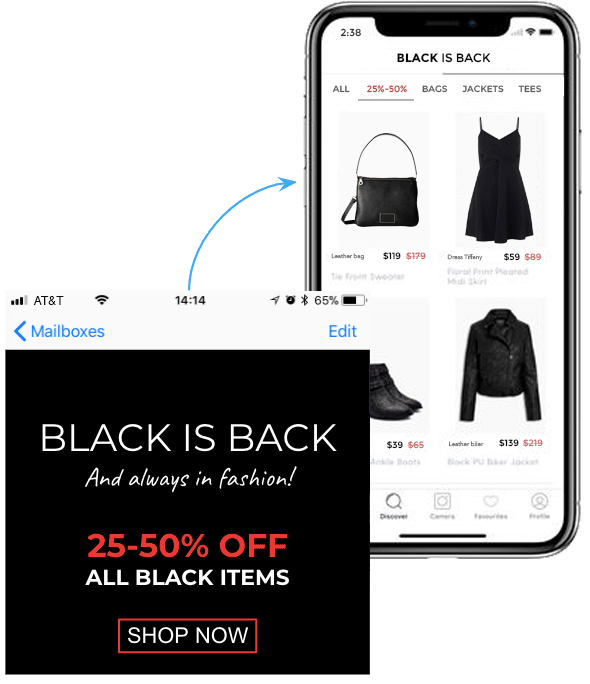 For e-commerce and other brands that sell products or services in their app, every additional step the user has to take lowers conversion rates. OneLink powerful deep links remove friction and drive users straight to the in-app point of sale — even after install. “We just love OneLink. It’s a smart link that drives users to the best destination depending on the device and channel. OneLink was built for every possible use case, delivering the latest, cutting edge technology in a user-friendly wrapper. Everyday marketers love OneLink’s simple and clear setup, while advanced developers enjoy full access to the deepest configurable details. But that’s not all. Our unique setup allows you to use OneLink without adding any code to your site. Just turn it on, and go. The Flexibility You Need – Short URLs, QR Codes, Custom Branding and More! Every OneLink is fully configurable. From domain branding (use your own branded domain) to short URLs, OneLink is built to deliver. Connect with Your Users in a Whole New Way.